Have you ever considered going abroad to learn Spanish? Delve into a new language! 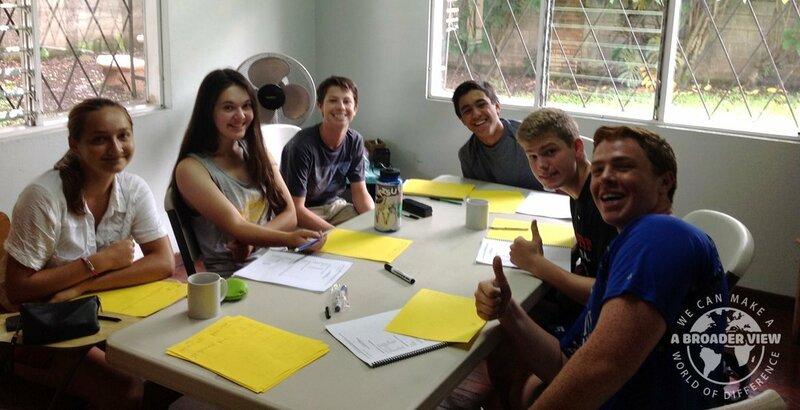 A Broader View Language & Cultural Immersion programs provide the opportunity to volunteer in a humanitarian mission (orphanage, clinic, schools) while learning Spanish at the same time. Our Immersion programs range from one week up to one month. You can buy more lessons locally. Students at all levels are welcome. + Where can I have Spanish Lessons programs while volunteering Abroad? Lessons are provided Monday to Friday, check each country for how many hours you will get, each country is different. The remainder of your day will be spent in the local orphanage, school, clinic - the project of your choice. Choose from programs in Costa Rica, Chile, Colombia, Peru, Honduras, Ecuador and Guatemala. The Program provides international volunteers with opportunities to study not only the Mandarin language and Chinese culture, but also its history and modern society as well through daily cultural immersion activities and the organized events in the local communities in the typical traditional Chinese city mixed with modern life.